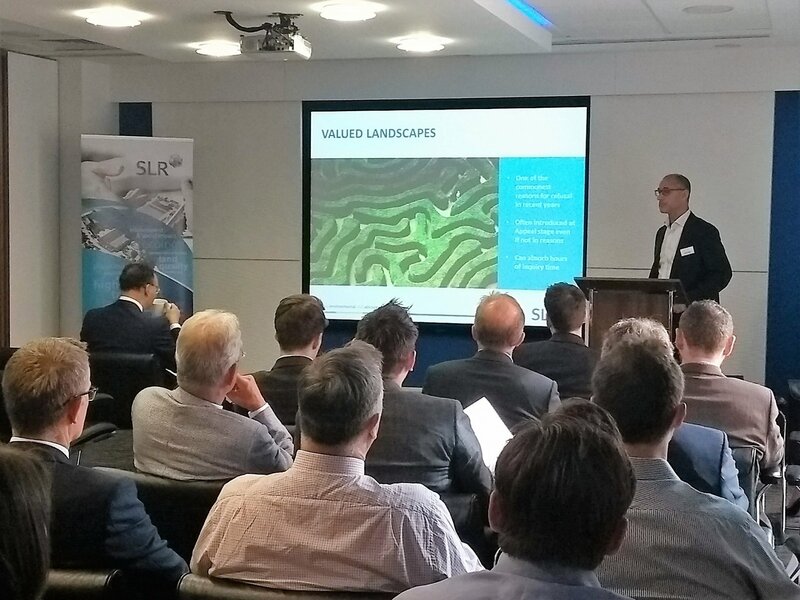 On Wednesday, 20th June SLR Consulting, Ashfords LLP and Landmark Chambers held a summer breakfast seminar at Ashfords offices in Bristol. The event focused on the ongoing developments in planning and infrastructure and offered attendees an insight into getting permissions for housing developments in the current climate. The seminar attracted developers, agents, housebuilders and architects from Bristol and the surrounding area. S106 still forms a key part of the planning system despite the early emphasis on CIL potentially replacing S106 contributions. National standards on contributions in key areas are still being considered. The event was chaired by Kate Topp, Partner in the Real Estate team at Ashfords. Kate acts for residential developers and landowners in relation to the purchase and sale of land for residential development. The event was opened by the keynote speaker, Sasha White, QC at Landmark Chambers. He gave some informed views on the legal point of view about securing housing permissions in 2018 and covered what are in his view the ‘10 deadly sins of the National Planning Policy Framework (NPPF)’. He spoke of the lessons learnt. Jeremy Smith, Director, Landscape Architecture at SLR went on to consider where the policy is on valued landscapes and where things stand following the revised NPPF. He considered a number of appeal decisions and high court judgements which highlight best practice in identifying valued landscapes. David Richardson, also a Partner in the Real Estate team at Ashfords closed the event and covered the non-litigation side of planning permissions. He discussed ways at which the s106/CIL can go wrong, and right and drew on his varied experience advising private sector developers, landowners, government bodies and local authorities.